Business trips, especially to foreign destinations, sound extremely exciting to just about anyone who does not need to engage in frequent travel. Irrespective of how fancy the idea of keeping a travel bag and documents ready for short-notice travel is; business executives constantly on the go will assure you that it can be killing. You need to spend long hours at airports, tackle cancelled or delayed flights, fly long haul, prepare for meetings during the flight, don’t get enough sleep, eat bad food, and deal with alien weather, climate, languages, and culture to add to the company bottom line. The hectic schedule that global jetsetters need to follow can be killing; contrary to popular belief, usually there is no time for any sightseeing or shopping, and the countries flash by in a blur of offices, hotels, and airports. The term bizcation, as you must have guessed, is an amalgamation of the words, business, and vacation. Because continuous business travel is so hard to bear for long, weary executives started the practice of taking a short break at the end of a business trip, so that they can unwind before heading back home to face another torrid week. Even though busy executives may roll their eyes at the thought of taking a break, these short vacations have become exceedingly popular, as can be seen from global travel statistics. Employers too have not objected to the idea of executives disappearing every now and then because the break does not mean any additional financial expense, and it helps to rejuvenate tired managers so that they are again ready to go with full energy. The principal reasons why jetlagged executives do not end up taking breaks are their lack of planning, and to a certain extent, a feeling of guilt that they could be enjoying themselves without the rest of the family. Taking time out for oneself is just a matter of smart planning and will pay a very rich dividend in terms of extra zest and a refreshed mind. As far as the guilt complex is concerned, it is not as if you are going off on a vacation every time you step out to travel on business. Moreover, logistics and expenses permitting, your family can also join you on a few occasions. 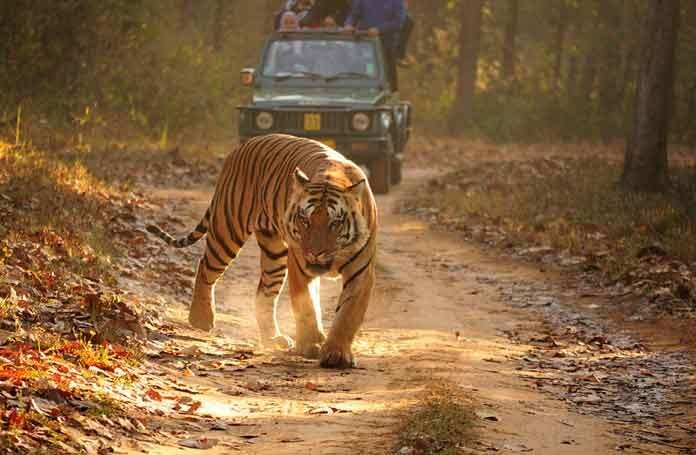 If you are planning a visit to India, make it a point to enjoy a tiger safari at Tadoba with your family. It is important that you plan the dates of the vacation carefully; ideally, bizcations become practical if you can accommodate an extended weekend. This is possible when your business trip ends on a Thursday or even early Friday. However, it is not only the break that can be planned; if the meeting is not time-sensitive it can be scheduled for the later part of the week.You can take off from there to explore the territory, take in some of the local culture and festivals, a grand musical performance or a sporting event or simply to taste the local cuisine. If the calendar and other business commitment permit, you can tag on a day or two of your annual leave and take the opportunity of having your family join you for a refreshing time. Planning bizcations is better when the business trip is scheduled at least 1.5 months ahead of the travel date. This is because air tickets become prohibitively expensive if you are cancelling the return ticket and buying a new one at the last minute. Also, tickets for various events, as well as suitable accommodation may be more difficult and expensive. Planning well ahead of the actual travel dates also allows you to choose where you would like to spend time; in the city that you are visiting, nearby places or even countries that are closeby. While your organization will pay for your travel expenses, in-city transfers, as well as accommodation and meals for the period of the business visit, you will need to pay for the vacation part yourself, as far as transportation, hotel stays, and food are concerned. If you have gone on to another location, ask the return ticket to be booked from that location. If you are staying back in the same city, consider switching hotels to ones that are more tourist and pocket-friendly. Be transparent about the costs to the company accountant and pay for what extra has been incurred for your bizcation. If the weekend is all you are taking off for then it does not matter much, but if you are extending your trip by a few days, then let your supervisor and colleagues know so that they can take care of your workload. Evans walsh is a senior human resources manager at a multinational company. She encourages business executives constantly on the go to take bizcations. Among her top recommendations is Tadoba Tiger Reserve in central India.